I want to thank everyone at FADS who volunteers, sponsors and judges shows. I took my horse to her first show on Friday and cannot believe how wonderful and supportive the environment is. She is sometimes a very reactive horse and with the help of all the volunteers she did not spook at all. This type of environment is extremely helpful to a horse that has been a pasture pet for many years. I am planning to attend more FADS shows in the future to get her comfortable with a show environment and I need to get use to it too since it has been a while for me. FADS shows have been the best events I attended this year with my horse. 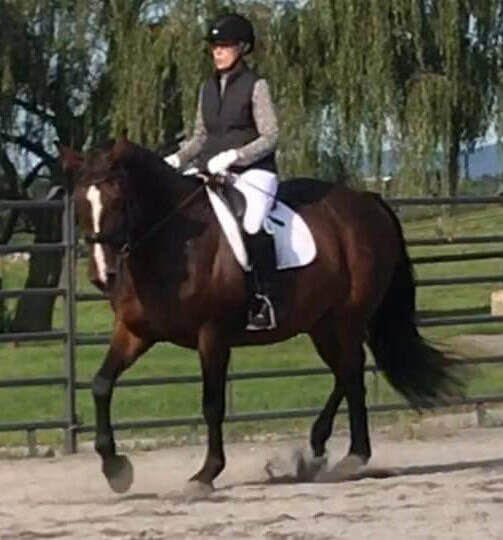 I hadn't ridden in almost 13 years and when I partnered with my new horse a year ago, I was scared about starting all over at 58 years old. FADS shows are held at great facilities with horse people who go out of their way to make competitors feel welcome and safe. The atmosphere is always laid back and friendly. I discovered new things about my mare (Kate, the Wonder Horse) and quickly realized she always had my back. We cannot wait for this new show season to begin (Kate seemed to enjoy being at the shows as much as I did!). Thank you so much for providing these shows and experiences. Wanted to thank you for your ongoing webmaster work for FADS. The site is very clean looking, easy to navigate, and packed with all the info a competitor or farm would need to ride or host. Besides creating a useful online resource, you have helped welcome those of us new to the sport. I'm grateful to the judges and farm hosts, too; what a delight to enjoy such beautiful venues! Thank you again for your work. Please share my note with anyone you like. See you next season! Photo: Dana Grabiner at the October 28, 2017, FADS at By Chance Farm show. Hello! I would like to share this photo of the awards I won last year so you can post it to FADS. I never thought I would win them cause I only wanted to improve my riding. We ended up winning the Introductory Level FADS 2016 Spring/Summer High Score Award and the 2016 Cowboy Charisma Special Award for mares. 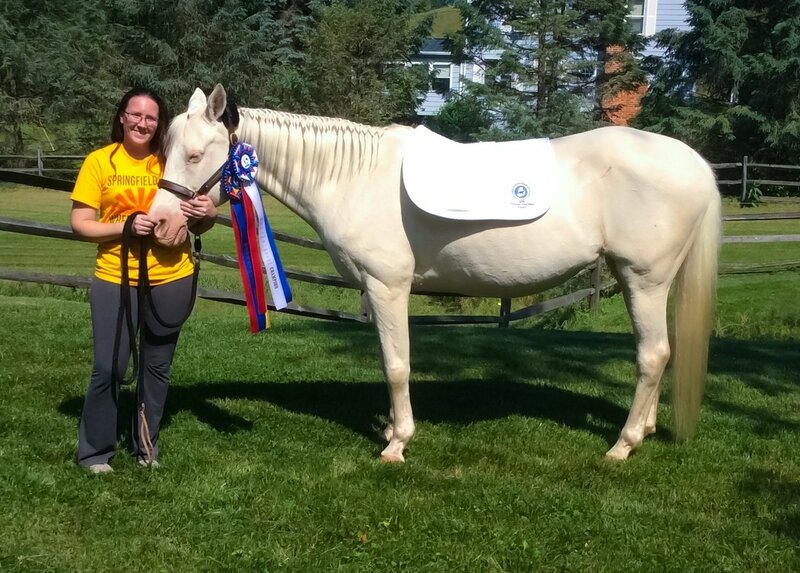 Outside of FADS, we won the High Score award for Intro Level with her registry (IRHR: International Rescue Horse Registry). Just a big thanks for making FADS such a wonderful show environment. My horse is a 19yr old QH. By Chance Farm had a great show this past Saturday (3/25/17). 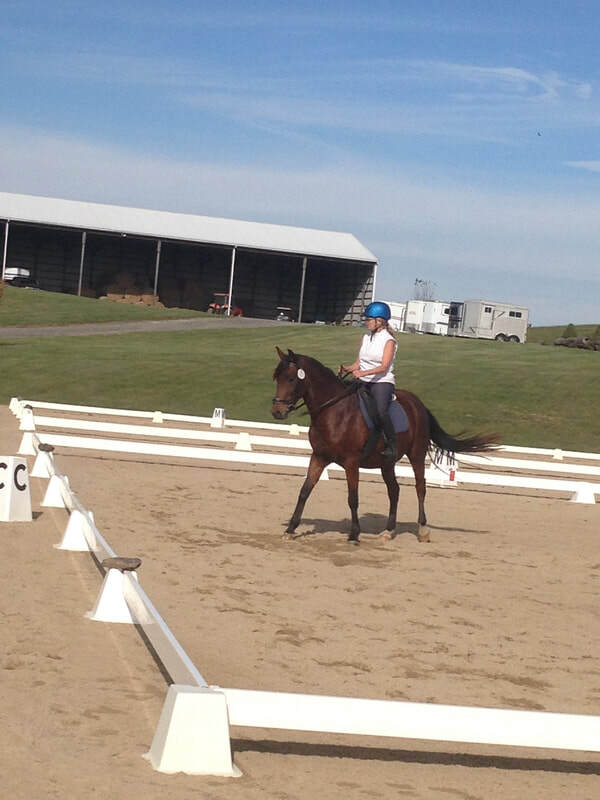 It was my first FADS show and first time riding Second Level! "I wanted to show you our picture from our first FADS show. It was so nice being able to show without having to feel pressured to get all dressed up. My nerves were allot easier to deal with. I hope in the future we will be showing all decked out in our gear. I do like to do that every once in awhile but the thought of being judged scared me. Thanks for making FADS such a relaxing atmosphere for all of us. 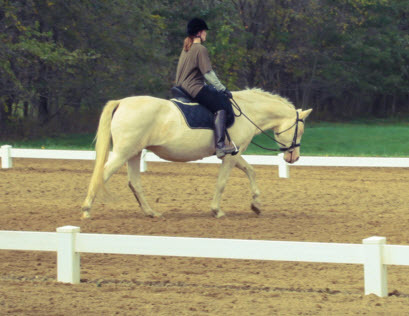 This test we placed 1st with a 63% [Introductory B at Rockland Stables]." Jessica Richmond (AA rider) on Sassy, a Highland Pony cross. Email your FADS Testimonials to LeslieRaulin@gmail.com to have your testimonials posted on the FADS web site. 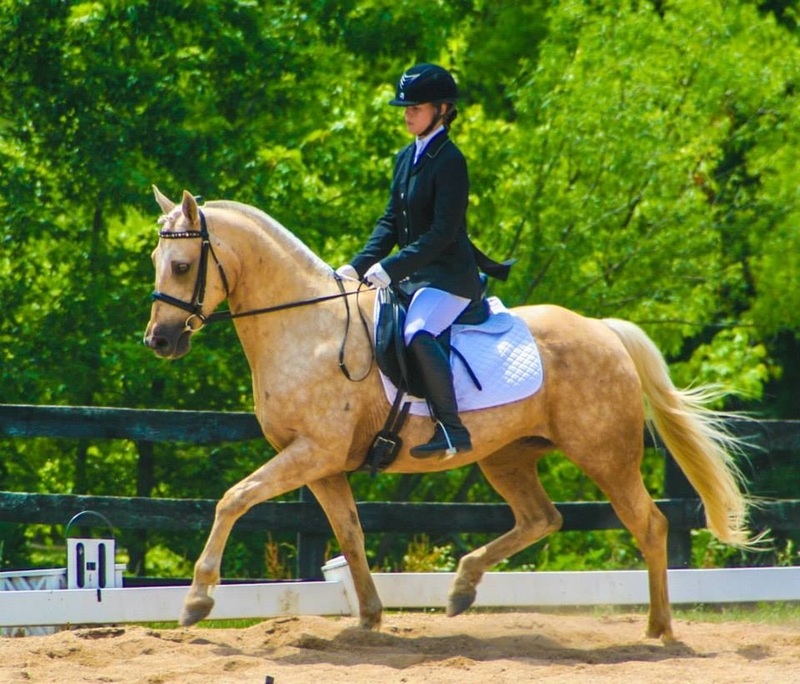 Include the rider name, horse name, FADS show, and any other information. A photo is not required for a testimonial. Ensure the email subject line is very clear that you are sending a FADS Testimonial.